PUBG has announced another update which is currently going live and makes some significant changes. 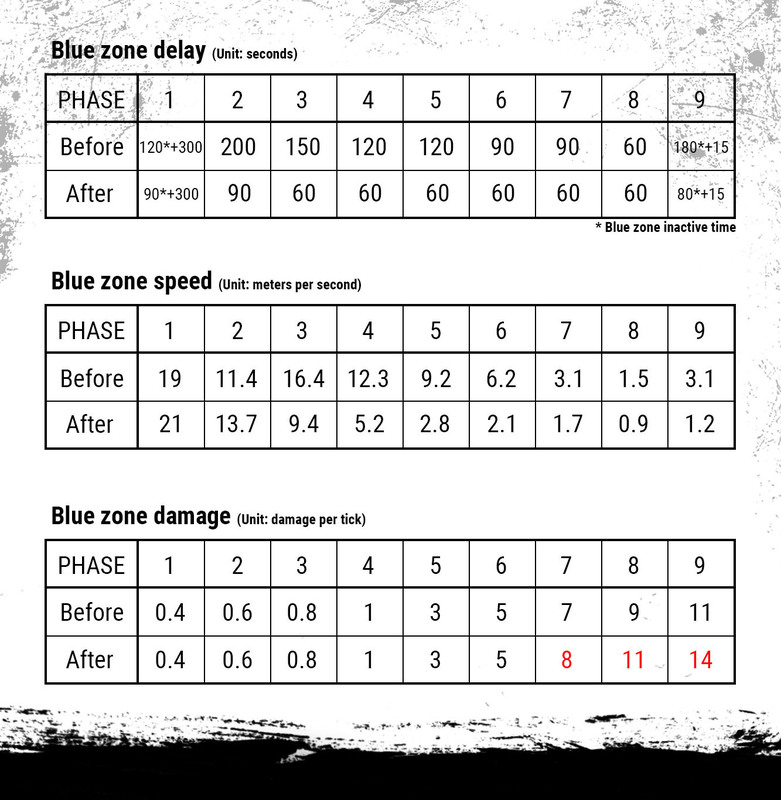 Most notably, the time before the Blue Zone starts reducing has been decreased, so there is less time to scavenge, with circles 3-8 shrinking every minute. Additionally the blue zone speed has been tweaked for the first two circles, and slowed for the last 7. Finally, damage has been increased for the last 3 circles. 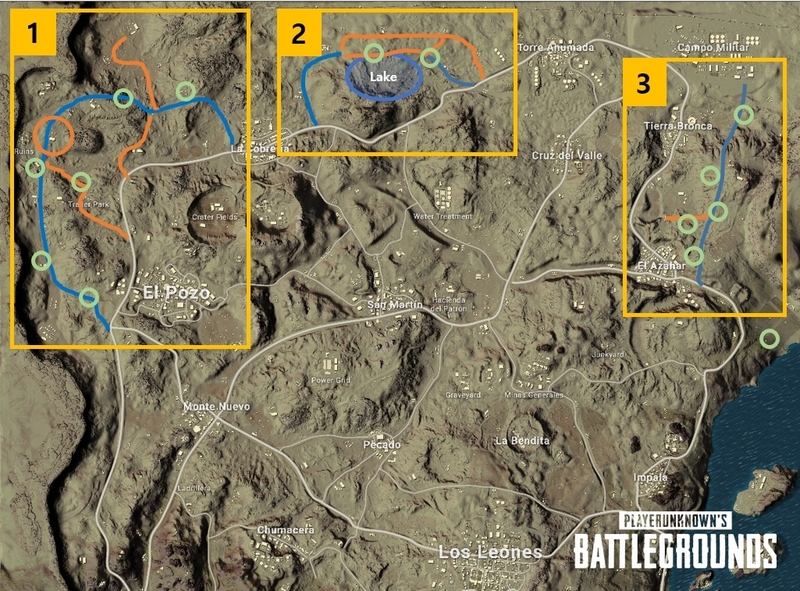 3 new areas have been modified in the northern end of the map.